CBD for Insomnia – Will CBD Help You Sleep Better? This article will explore the many benefits of CBD of insomnia. It is apparent that cannabidiol can help with pain and anxiety, and this natural solution has also seen great success in treating sleeplessness. If you are struggling with sleep issues, find out how this sacred plant may allow you to fall asleep, stay asleep and wake up feeling totally refreshed and ready for the day. CBD (cannabidiol) is the non-psychoactive cannabinoid, which has become one of the important factors of the medical cannabis community. It is becoming a top trending nutraceutical super-supplement and it is usually sourced from psychoactive cannabis varieties and industrial hemp. CBD is used for different products including topicals, oils, gummies and soft gel capsules being the most popular products on the market today. It has been confirmed that cannabidiol helps the body maintain homeostasis. CBD interacts with the body through the endocannabinoid system (ECS) and it is known as the “healing” cannabinoid. It has also been confirmed to act as a natural sleep aid. Sleep is complicated, to begin with, and there are actually five stages of the sleep cycle. The first four stages comprise the non-rapid eye movement (NREM), while the last stage (stage 5) is the rapid eye movement phase (REM). These sleep cycles last about 90 minutes and the amount of time we spend in REM and the NREM stages shifts over the course of the night. Undisturbed sleep is essential. The optimal sleep duration over a 24-hour period is between 4–6 consecutive cycles. However, it is widely accepted that an average adult needs up to 8 hours of sleep per night. Approximately less than 5% of the population can do with as little as 5 hours per day without suffering physical and cognitive side effects. The consequences of lack of sleep include multiple adverse results including deterioration in all aspects of health and wellbeing. Having a poor-quality sleep or lack of sleep age people prematurely, increase the risk of injury and it decreases people’s athletic performance. CBD is effective in reducing anxiety; this makes it helpful in improving sleep quality and reducing sleep difficulties. According to research, CBD may improve insomnia and increase overall sleep amounts. However, from people suffering from chronic pain, it has been confirmed that CBD can reduce insomnia in these sets of people. When taken in smaller doses, it helps to stimulate alertness and reduces daytime sleepiness. This is very important for activeness during the day and for the strength and steadiness of the sleep-wake cycle. In addition to this, this product may help to reduce the REM behavior disorder in people suffering from Parkinson’s disease. People suffering from the REM behavior disorder are always staying active during dreaming and REM sleep. Typically, there is a state known as REM atonia (the condition when the body is largely paralyzed) during REM; this immobilization keeps those sleeping away from reacting physically to their dreams. However, this paralysis does not occur in people suffering from REM behavior disorder, leaving them very active while sleeping and free to move around while reacting to their dream. This can lead to disruptive sleep and hurting themselves or their sleeping partners. Cannabis may also work to improve sleep quality and reduce pain in people with Parkinson’s disease. It may also help to improve REM sleep irregularities in people with post-traumatic stress disorder (PTSD). As you can see CBD for insomnia shows great promise in helping those who suffer. If you are interested in alleviating reduced sleep with cannabidiol, it is recommended to get started with a ten to twenty mg serving. 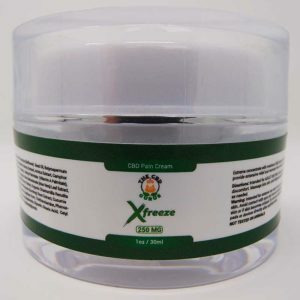 If needed, you may slowly increase the serving to as much as one hundred sixty mg. CBD for insomnia often proves to be most effective when taken under the tongue or by mouth.